BOXING is a game characterised by brute force, stamina and perpetual physical contact, until there is a victor or the match is declared a draw. At one-time, boxing in Zimbabwe was as popular as soccer. Boxing was meant to take violence off the streets. From street fighting, it morphed into a rewarding career earning proponents millions of dollars. It appears the main idea behind boxing is to inflict injury on an opponent though under controlled conditions. The sport has attracted many, particularly individuals from socially and economically deprived communities; Mike Tyson of the US is a typical example. Zimbabwe has had its fair share of successful boxers, both on local and international platforms. In the dusty streets of Mbare Suburb hailed some of the country’s great boxers. The game used to be a no-weight affair then. Fighters could be from different weight categories; what mattered was the potence of the venom in a fighter — a lightweight could knockout a fighter in the heavyweight category. Professional boxing started in 1956 in Zimbabwe when the Boxing and Wrestling Control Act came into being under the colonial administration. Boxing then fell under the Ministry of Justice. And Steven Nyanyigwa, a lightweight, was the first black professional boxer to be registered in the then Rhodesia in 1957. However, Nyanyigwa did not set the ring alight. A boxer from Bulawayo, John Dhlamini, emerged in the 1960s and caused waves in the ring that saw him travel to Britain to fight in the Empire Bantamweight which was a part of what is now known as the Commonwealth games. Another boxer of repute to rise from that era was Duli Chida, a Malawian-born fighter who was based in Mbare. The 1960s saw bantamweight contestants Sheki Mupoto, Murehwa, Tsuro Masawi, Seke and Jiva Margarine, of Malawian origin, hogging the limelight. 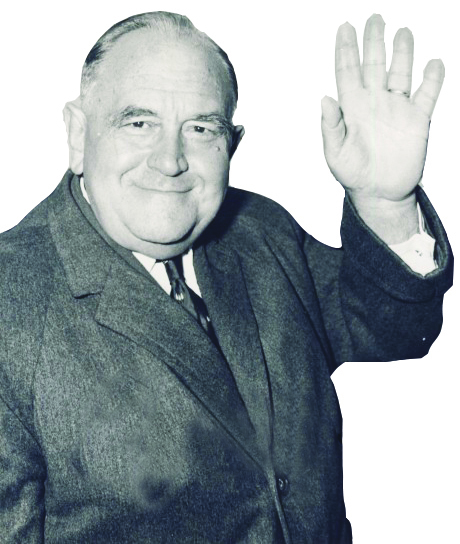 Sir Roy Welensky, the second-last Rhodesia and Nyasaland premier as well as heavyweight boxing champion, was outclassed by black professional boxers. According to Wikipedia, while working on the railways, Welensky became the professional heavyweight boxing champion of Southern Rhodesia at 19 and held the position until he was 21. Boxing became so popular back then that foreign boxers from the region flocked into the country to take part in competitions. Mohamed Alfonso (Tar Baby), a Mozambican turned Zimbabwean, would, in the 1970s, become a heavyweight champion. The white administration controlled the sport from 1956 until 1980 when the country gained independence. Before 1957, blacks could not fight professionally. Boxers had to be cleared by the Boxing Board before venturing into foreign territories for fights. The white colonial boxing administration even disowned heavyweight boxer Musango Muneyi who had died in the ring in neighbouring Zambia after privately going to fight without approval of the Board in 1957. He was buried in Zambia. However, more and more blacks came on board and dominated the sport despite it being initially a preserve of whites. Ndava Dube, a bantamweight champion, contested at the Commonwealth games in London and the fight was most captivating. Dube, born on January 7 1959, according to Wikipedia, competed in the bantamweight 54kg division at the 1984 Summer Olympics and at the 1988 Summer Olympics. Dube won a silver medal at the 1987 All-Africa Games, losing in the bantamweight final to Stephen Mwema of Kenya. The site reveals that he represented the country as a bantamweight at the 1984 Olympic Games where he got a first round bye, defeated Amon Neequaye (Ghana 5-0), defeated Louis Gomis (France 5-0) but lost to Héctor López, (Mexico 0-5). However, over the years, the popularity of the sport has waned. But enthusiasm for the sport still exists especially in the amateur ranks. Past exploits and acts of glory should be revisited to inspire the current crop of boxers. There is vast potential in the sport that is a billion-dollar industry worldwide.